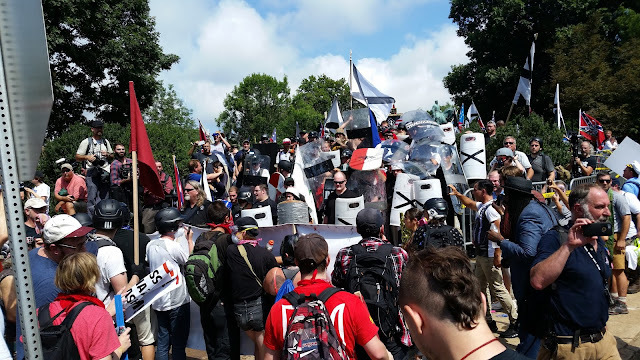 NOTE: Since this report was written, the organizers of the planned Sept. 13 rally at Richmond’s Lee monument have withdrawn their permit request; Gov. McAuliffe has suspended the granting of any permits for rallies at the statue; and Richmond Mayor Stoney has said that removing the five Confederate statues on Monument Avenue will now be considered. The struggle continues. Defenders rally the crowd to “Hold the Line!"